OMG: Has it really been this long? When I had a note from someone who commented on my blog, I decided to “go to it” and see what I had written – and that’s when I noticed I hadn’t updated it for 2 years! That is totally unacceptable, and I have no excuse except I sometimes forget to do so. I am pretty good at sending out my monthly Creative Living Newsletter (which you can read at: http://www.kenw.org/creative-living-newsletters). I admit there wasn’t a newsletter in July because of the on-going KENW Auction, but I’m working on the one that will be e-mailed the first of August. In fact, if you haven’t signed up for it, just send me an e-mail, and I’ll put you on the mailing list. It’s a free publication. My email address is: sheryl.borden@enmu.edu. And, just so you know I haven’t been totally lazy, I’m also working on the new Creative Living booklet that will accompany the 6600 series that begins in September. It will contain numerous sections, including Foods & Nutrition, Crafts, Sewing & Fashion, Home, Hearth & Health, as well as a Miscellaneous section. This makes it easier and faster for you to download just the section you are most interested in – or the entire booklet. It should be ready around mid-August, so keep checking back at: http://www.kenw.org/creative-living-newsletters. I’m also excited to report that all of our taping dates for Fall 2013 are filled, and we have some great guests lined up. We start the first taping on September 19th and continue through the end of November. If you know of anyone you can recommend as a potential guest, please e-mail me and let me know. I’m already scheduling guests for Spring 2014, too. Or – you might recommend YOURSELF! Don’t be bashful. 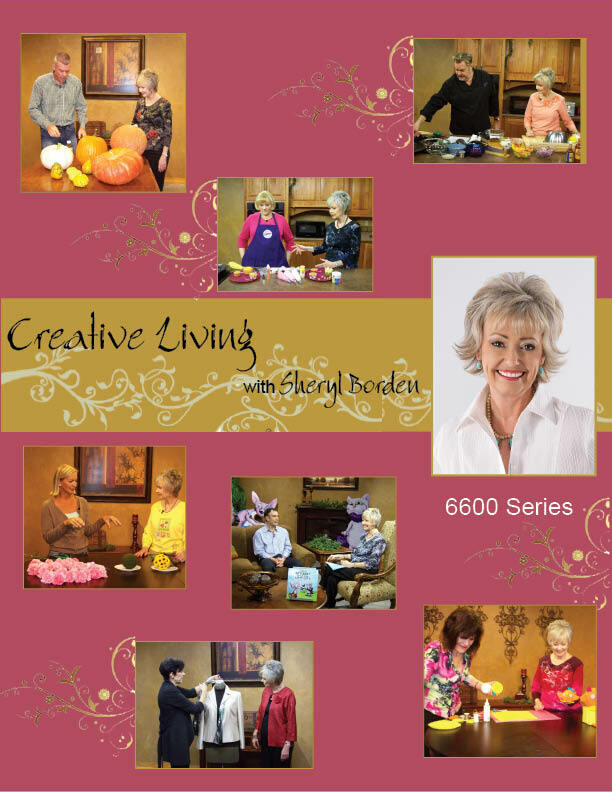 If you’ve watched Creative Living for very long, you know that we try to tape a variety of segments so we can feature them on different shows and different series. Rather than ramble on and on, I’m going to keep this post “short & sweet” and welcome your thoughts and comments. I hope you enjoy the rest of your summer – it’s going quickly.